Sometimes, people do not pay much attention to the features and functions and simply opt for a wireless router from a top brand. Network coverage amongst several other factors might play a role in what kind of router will be best suited for you. This is where wireless mesh networking comes to the fore. Instead of the central system that sends wireless signal everywhere, a system that uses a mesh system can provide excellent WiFi connectivity from the remotest corners of your house. From that perspective, we will cover the three most popular network devices and check out which among them works best for your needs. 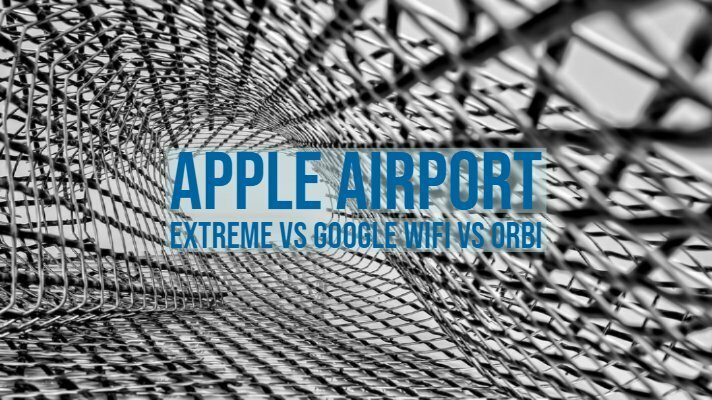 We will be comparing Apple Airport Extreme vs Google Wifi vs Orbi for the sake of this comparison. Google ought to be called the king of the internet, has developed an excellent wireless mesh system for use for your home WiFi connectivity. What makes it one of the best options is its ability to provide faster connectivity, easier setup and simple management through the smartphone app. Now, unless you are an Apple fanboy, most of us use a myriad of Google products at home. Understanding Google WiFi should be smooth and straightforward enough. You would be familiar with the concept and functions. Setting it up should not take much of your time. Just power one of the units, and you are good to go. Power it up and connect it to your modem. Download the app ( You can have the guidelines from your sales package), and you should get a notification to start the process of installation right away. The app guides you on how to set up the other two as well and also helps you on how to improve the performance. Each of the units should cover around 1200 square feet and switch between the groups as you move between the rooms. You can also prioritize one device over the other and set parental controls if you need to. The system has an essential integration with smart hubs. You should be able to control everything from within one place, and that should be a nice addition. One of the best things we found with Google WiFi is the fact that it offers you automatic updates; no more do you need to keep checking for the updates. This enhances the security of your connection. A few issues could be that it does not offer you a triband functionality. It only works as a dual-band router. It has only two ethernet ports that can be an issue if you are looking to connect more devices over Ethernet. Smart settings and the built-in network assist technology should help avoid congestion. It should be one of the preferred options in crowded urban apartments. The app offers limited management options. There is no web-based interface available. Not necessarily a wireless mesh system, but it performs similarly as a wireless mesh system. It is used to extend your network through satellite units. The satellites are not connected to the base but work with the base. The triband functionality should provide you access to stronger connectivity everywhere. One of the things that should make it a perfect option is the availability of advanced WiFi settings that it offers you. Use the web portal to access the common Netgear setup configuration, and you will get all the necessary parameters. The bidirectional communication ensures that there is no loss of speed. Orbi offers you a dedicated band for transmission. 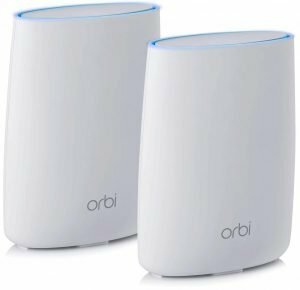 A few issues we found with Netgear’s Orbi are the large size of the units and the price. Excellent performance with tri-band functionality. It offers you an good speed performance as compared to the other extenders which experience a 50 percent signal loss. The system provides coverage of up to 6000 square feet at home. If you have a bigger home, it can get more expensive. Apple Airport was launched back in 1999 when the WiFi scenario was still in its infancy. The concept was a deal breaker back then and was seen as an innovative approach. However, the company is discontinuing its AirPort routers. 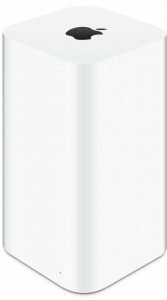 Apple AirPort Extreme is designed to provide you an excellent WiFi coverage and a clear signal. The design is a bit tall and may not be something you may not be comfortable with. The availability of an internal power supply should be one of the best options that alleviate the need for an external power unit. Now that the routers have been discontinued, we do not think there is no point left in checking out the features of AirPort extreme or any of the AirPort products. The router is dual band and lags behind the triband options. There are no high-end customization options. Having checked out the three options in the above steps, it should be a great idea to opt for a side by side comparisons between the three competing routers. Though the Apple AirPort has already been discontinued, we include the item here with an academic interest. Well, based on those concise reviews and the head to head comparison, you should find that Google WiFi has been one of the prominent options for the obvious reasons. Now that Apple has decided to do away with the wireless mesh routers and similar other products and continue with the brand as a network standard, our comparison and the choice should be limited to the two options thereof. If you are looking for a plug and play functionality, Google WiFi is one of the best options. It should also be the cheapest option you can go with. The Netgear Orbi is not strictly a wireless mesh option and tends to be expensive if you are adding more units. In the case of Google, it should be one of the most straightforward options to go with if you are looking to add up additional units. Have you used either of them? If you have, do let us know about your experiences and opinions with us through the comments here below.